Living solo is a challenge when it comes to budgeting. Often, the fact that you don’t have to account to anyone else means that you probably never even check your credit card statements when they arrive, or note down what you spend your money on. 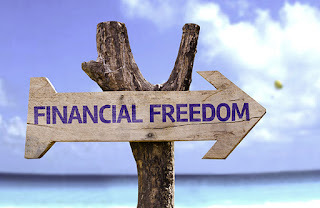 Keeping track of your day-to-day purchases, however, is a crucial step towards achieving financial freedom. This means trying to record everything you buy, from a magazine to a cup of coffee. After gathering the information, try to make groups of different categories, such as your mortgage or rent, services like gas and electricity, groceries, and so on. The best way to start paying off your student loans is to create a fund dedicated to your debts. Allocate a certain amount of your monthly budget (see below) towards the debt fund and plan to clear the debts with the highest interest first. This doesn’t have to be a fortune; even $20 or $30 a month will do. Your emergency savings will come in handy if you’re ever faced with an unexpected situation beyond your control, such as a house fire or car accident. After you have set aside money for emergencies and paying off your debts, and you know how much money you earn and spend in a month, create a budget that you stick to. My Money Coach states that if you create a budget, you will always have enough money for the things you need and know exactly where your money is going to. While this might sound easier said than done, there are many ways you can get your money to work for you. For example, you could consider investing in mutual funds and stocks, consulting with a financial advisor before you part with your cash. It’s never too early to start planning for your retirement. According to Money & Career Cheat Sheet, as long as you are making some money, you should be saving some, and thinking about your future. Starting sooner rather than later will also mean that you will earn greater compound interest when the time comes. Make sure you service your car regularly, as a well serviced car will be less expensive in the long run and help you avoid expensive breakdowns and repairs that could have been avoided with regular maintenance. If you find yourself spending too much on your car though, it might be time to think about taking public transport to work, or riding a bike if possible. While planning a budget may not be as fun as planning a party, or recording your expenses as entertaining as writing down your travel stories, the benefits of financial freedom and the sense of control you’ll gain knowing that your finances are under will pay dividends.